I’m a wife, a mom, a homeschool teacher to my kids, a blogger, and a whole slew of other titles that moms have. I cook, I clean, I get everyone to lessons, appointments, and activities. I am not complaining at all. I love the crazy, busy, mom life that I have been called to. I love teaching my children and taking care of our family. I share all this to point out how busy moms are and that I get asked all the time how I get it all done. I have several methods I use to help me accomplish daily tasks and keep everything organized so that I can stay on top of all that we have going. My first and main method is what I call “Just 5.” A friend taught me to do this years ago when I was feeling completely overwhelmed and since I started using this method, I don’t struggle with feeling overwhelmed by my to-do list anymore. Every morning when I get up, I make a list. This list is just 5 task. These 5 tasks are the most important things I have to do each day. They are the things that if I don’t get them done, the day will not end well or I will miss an important deadline. After I make this list of 5, I know what my goals are for the day. I work through these 5 tasks until I get them done. Once they are all finished, I can add other tasks, but the original 5 need to be done first. One of these tasks every week day is our school work. That is the most important thing we can complete each day. Since I am the teacher, it needs to be one of my top priorities. Other than that the list will vary depending on deadlines that I have, chores that need to get done, and lessons/activities we have outside the home. Narrowing down the to-do list helps me focus on the most important things. There are many days that I will write a second list of every task floating through my head just to clear my brain, but they are not added to my “Just 5” until the first 5 have been completed and I only add 5 more at a time. The second method I do is for keeping up on my housework. Years ago when I felt like our house was out of control, I tried coming up with my own chore chart and process of keeping my house clean. I kept feeling like I was bombing at this. One day I was searching the Internet for a chore chart and ran across the FlyLady. She had been in the same spot I was and she created a system for keeping up with housework. Her theory is that you can do anything for 15 minutes at a time and when I use her system, it works for me. It helps me break the household tasks into manageable chunks and keep my house ready for company at any time. As long as I keep up on her missions, I don’t get overwhelmed by the housework. The third method I have for accomplishing my daily tasks and staying organized is a good planner. I prefer paper planners over digital ones. I will admit that I use my phone calendar when I am out and about and then I add dates to my daily planner when I get home. My daily planner is the place I check each day to see what we have going on, what is coming up, and where I keep all our important dates. It is where I track due dates and deadlines for blogging, I make notes for upcoming posts, and I list out what will be for dinner. My planner is my data center and when anyone in the family asks about dates, I send them to the planner to check it. Find a good planner that fits your style and family and it is worth the cost. The last method that I use in our house to keep us organized is menu planning. Every month I sit down and plan out our dinner for the next month. It takes time, but knowing what is for dinner in advance has saved me so many headaches. It also helps me create grocery lists faster and use what we have on hand more efficiently. I can’t say that this is my favorite task that I do, but once it is done I do appreciate having my menu plan to use for the month. If creating a plan for an entire month scares you, plan for just one week at a time. These are the main methods I use to help me stay on top of all I have to do. These things help me keep my sanity and give me more time to spend with my family because I am not running around in a panic all the time. If you are feeling overwhelmed, try putting just one of these methods into place for your family and add the others as you can. Cassandra Holdeman is a homeschooling mama to two wonderful children, one in high school and one in elementary school. She is married to her high school sweetheart and they just recently bought their dream house barn. When they aren’t working on projects around the barn, you can find Cassandra working on crafts or reading a book. Cassandra blogs about their life, their barn, homeschooling, and more at A Glimpse of Normal. 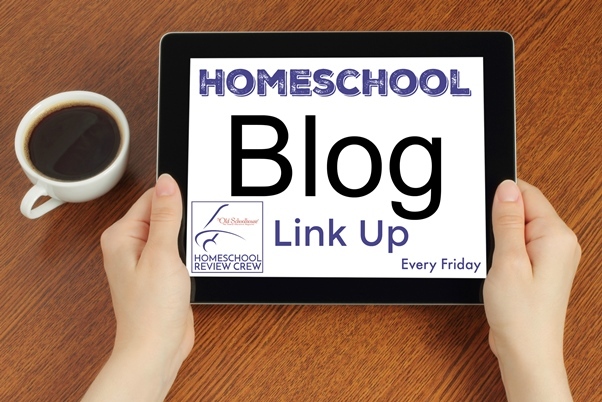 Please link back to us in your post so that others can find our linky and discover new homeschool blogs to follow. Visit a couple of the posts before your link, leave some bloggy comment love we all love to hear from you. 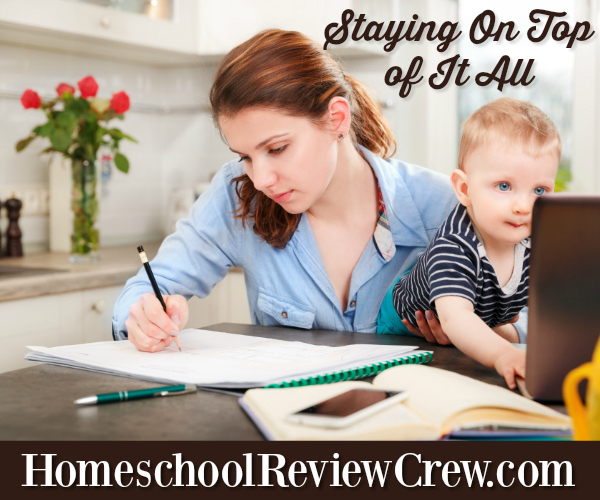 We welcome both NEW and old content that is non-sponsored and homeschool relevant.